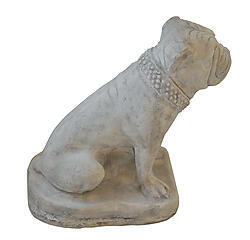 From our lovely Home and Garden Stone Decor collection, we present the adorable Pug Statue in a Roman Stone Finish. 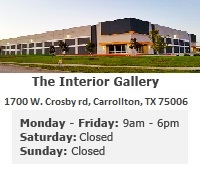 This sculpture is made from 70% crushed stone and a 30% resin mixture, and is placed into a mold with excellent detail. Precise features make this stone statue a high quality animal replica perfect for outdoor or indoor diplay. If displaying outdoors we recommend applying a coat of polyurethane as needed to extend the life of this incredible stone statue. 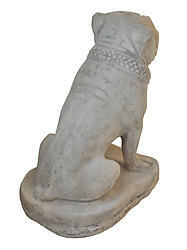 This Pug Statue is sure to add warmth and character to your home or garden.